Are you a cosmetologist, stylist, esthetician, or nail tech? Or maybe a combination of things? We would love to hear from you. Send your resume to rockabettysslon@gmail.com. We are not hiring new staff at this time, but taking resumes for Spring. 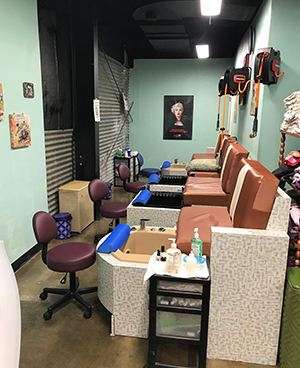 If you are a stylist/cosmetologist tired of working under someone else's corporate restrictions, you can grow independently by renting out a space at Rockabetty's to build your clients as well as build your own professional stature! Call us today for reasonable rates to rent!